This beautiful Prowler is the highest car east of the Mississippi (Mt. Mitchell) ...Other than the jeep. Also, the owners were very nice, and hopefully they are viewing this. Thank you both! Mt. Mitchell is a wonderful place to go! I've never gotten pics of one of these. They're cool to see but wouldn't be my first choice if I were to buy an exotic. Thanks! I barely got a picture of the back of a silver one a while back, but it isn't worth uploading. 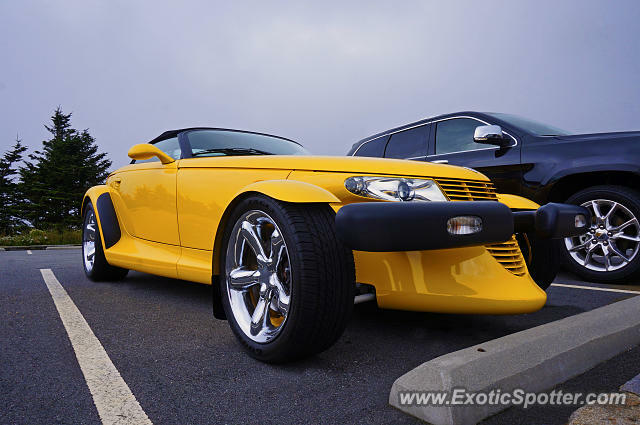 Don't think I've ever seen a Prowler in yellow. Great find!